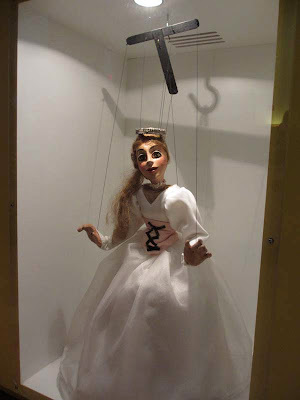 She has never had the notoriety or instant recognition among the public that other puppeteers like Jim Henson or Fred Rogers have known, yet she is a world class, international award winning, puppeteer that ran her own theater here in Pittsburgh for years. 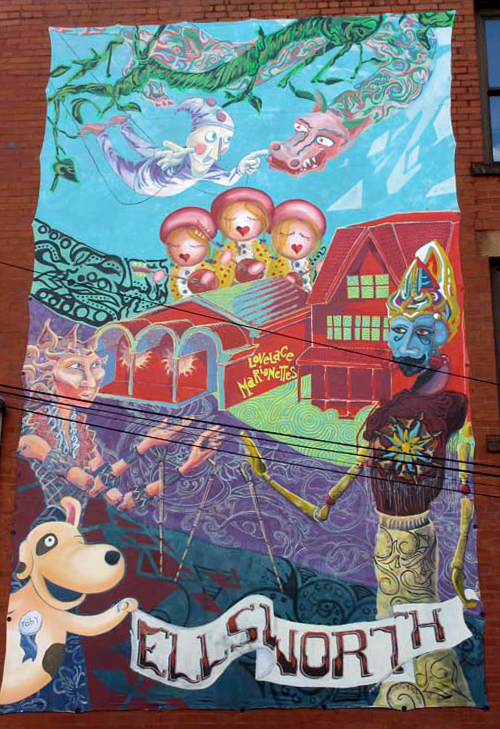 The purpose of this mural was to introduce Margo Lovelace and her legacy to those of us who were unfamiliar with her, and to bring back the childhood memories for those who experienced her shows first hand. 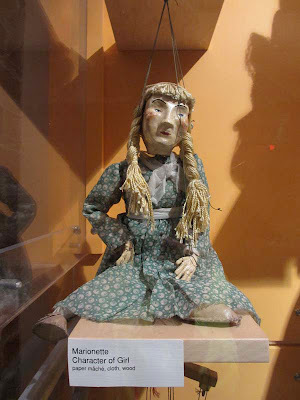 Margo Lovelace Visser began her lifelong relationship with puppets in 1949. 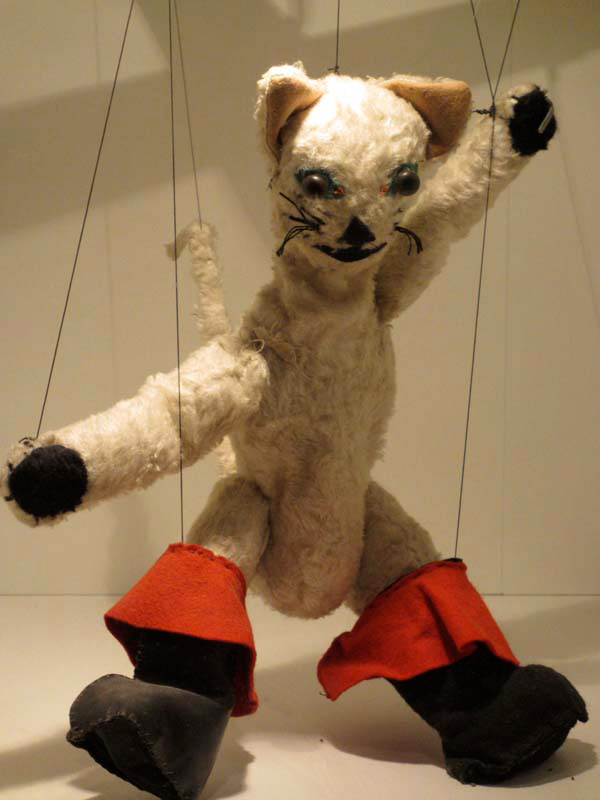 She traveled the world studying and acquiring a diverse collection of masks and puppets of every style. 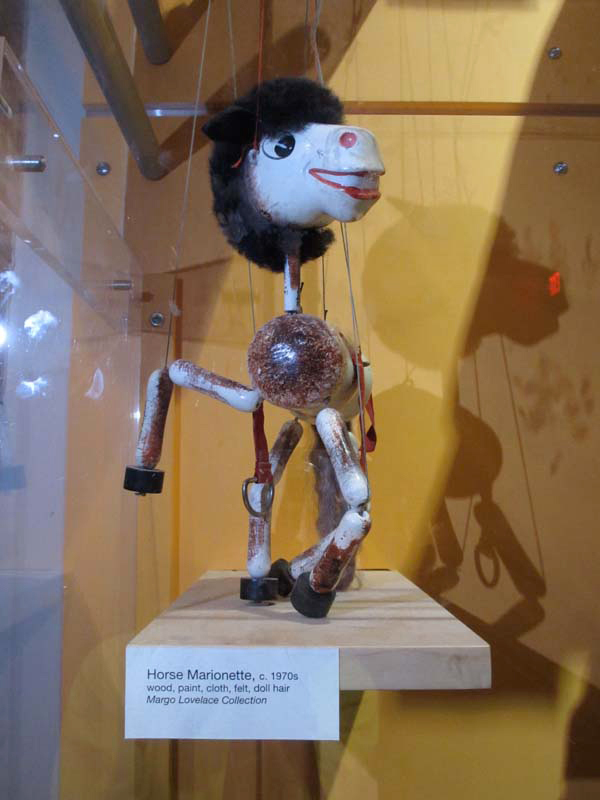 In 1957 she opened a studio in East Liberty, but it wasn't until 1964 that she converted a garage in a house on Ellsworth Ave into the Lovelace Marionette Theatre Company (LMT Co) – the country’s first privately owned puppet theater. 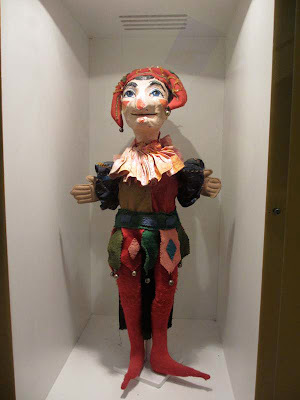 Over the years the LMT Co not only entertained local children with both classic and original stories, but they also trained and apprenticed them through schools and workshops. 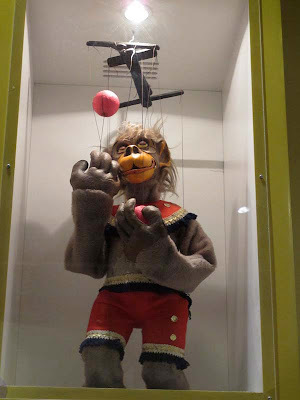 In the late 70’s they moved to the Carnegie Museum of Art theater. 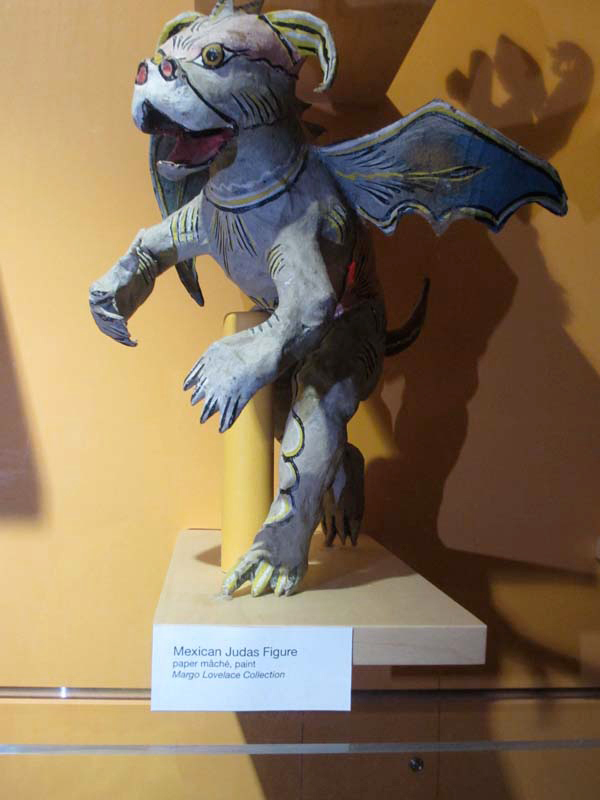 There was also a three week engagement at the Smithsonian. 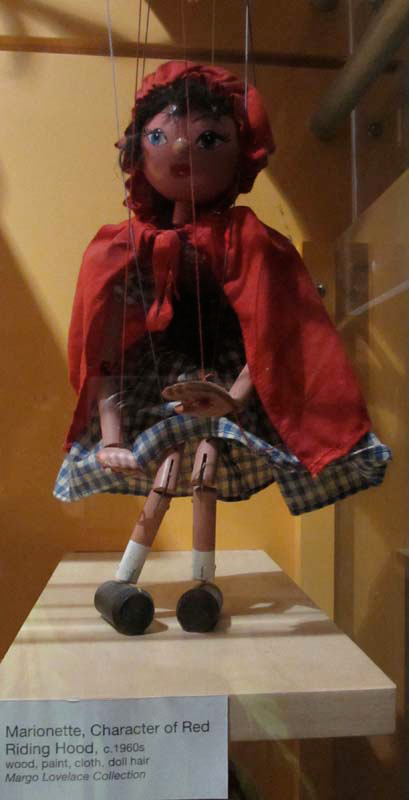 When she donated her collection to the Pittsburgh Children’s Museum in 1985, the 284 puppets represented 35 cultures. 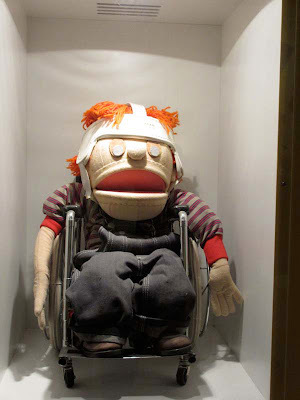 We stopped by the Children’s Museum to see some of those puppets. We did not see the ones depicted in this mural, but we thought you might like having a taste of what else is in the collection anyway. 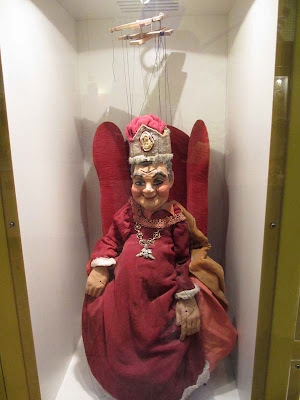 Not all of the puppets at the museum are from the Margo Lovelace collection. 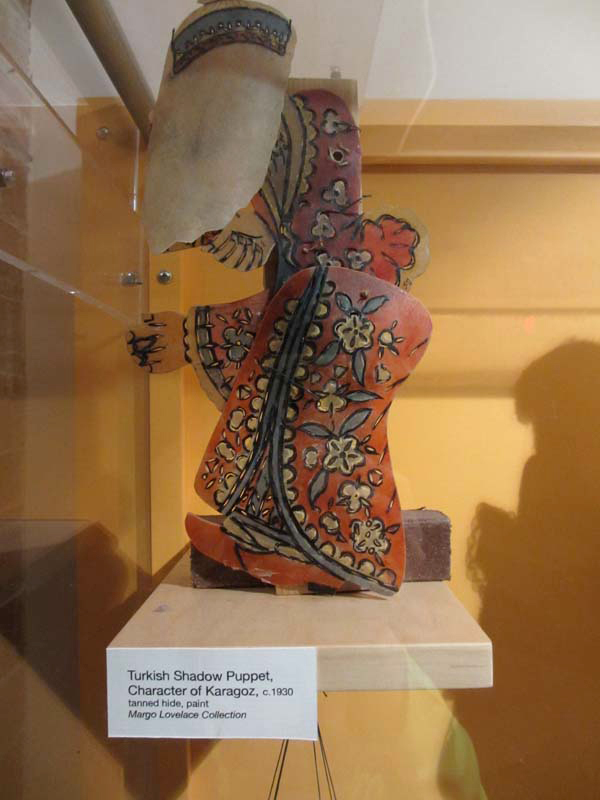 Many of them are not identified one way or the other, but we've included a sampling of what was on display here. 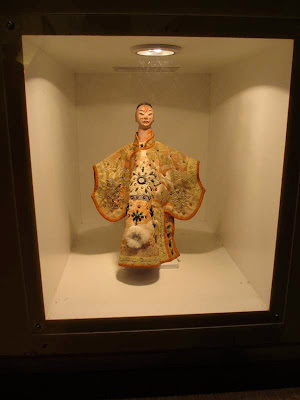 You can visit the museum to see more. 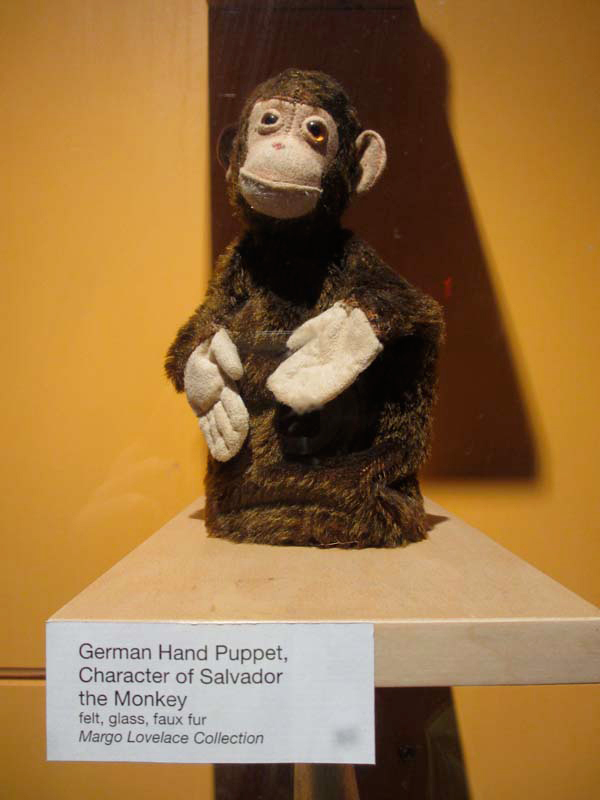 Salvador , German hand puppet. 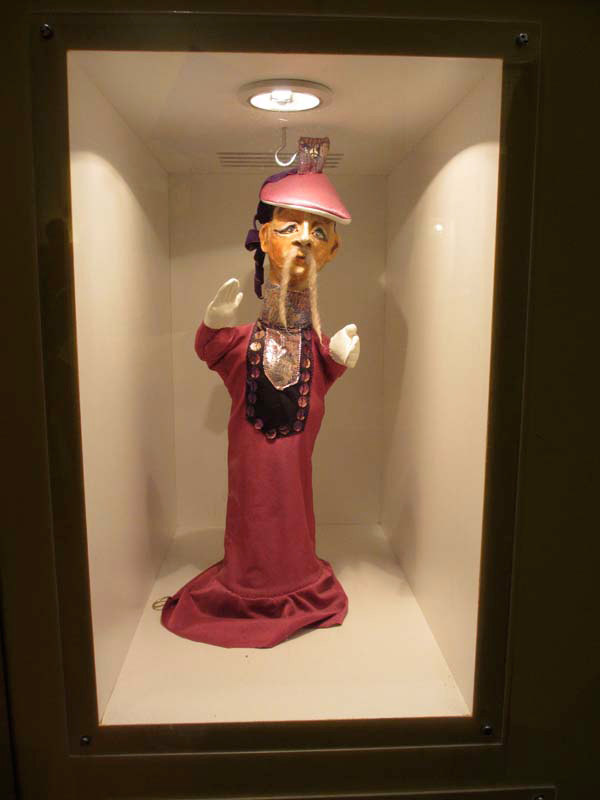 Karagoz , Turkish shadow puppet. 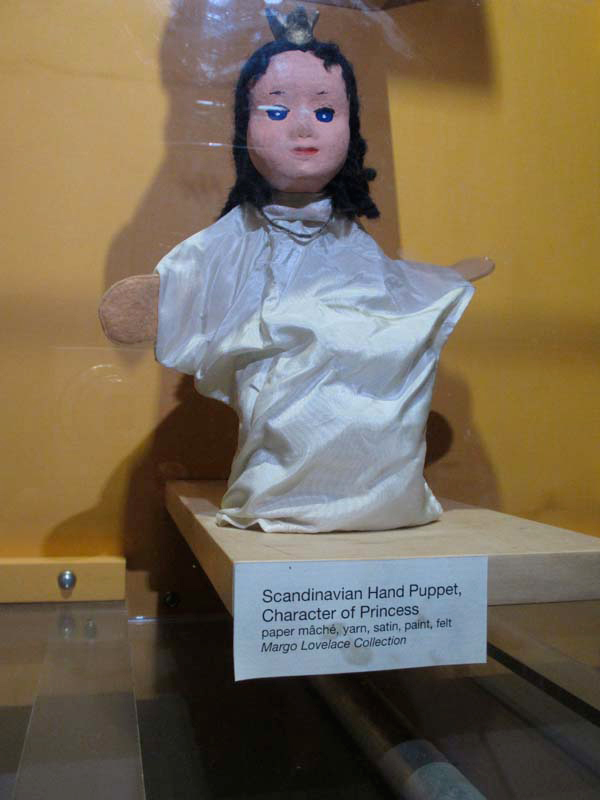 Scandanavian hand puppet of a princess. Below are some of the ones that were not labeled. 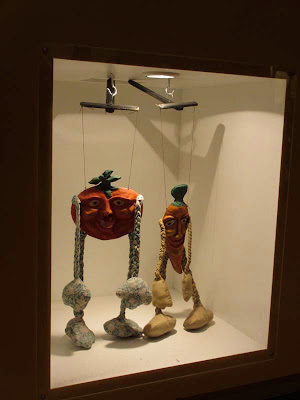 We don’t know if they were from the Lovelace collection or not.